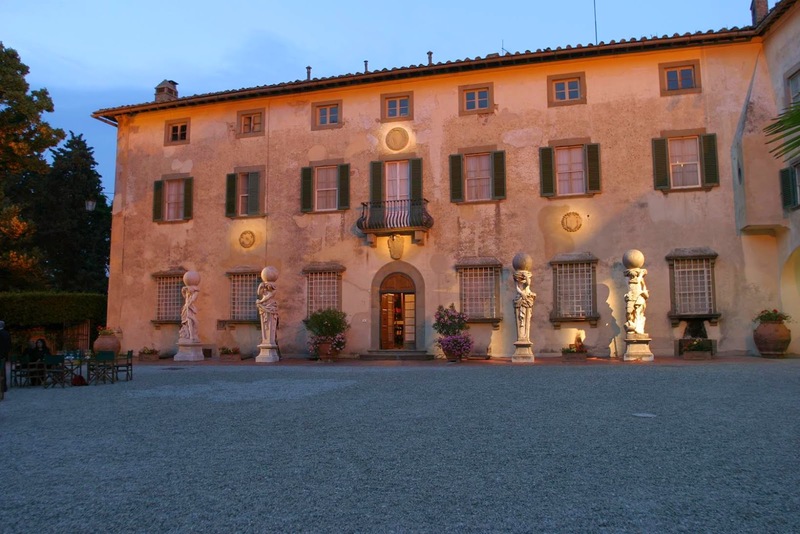 Tuscany’s rich history is deeply rooted in the renaissance, the arts, culture and royalty. 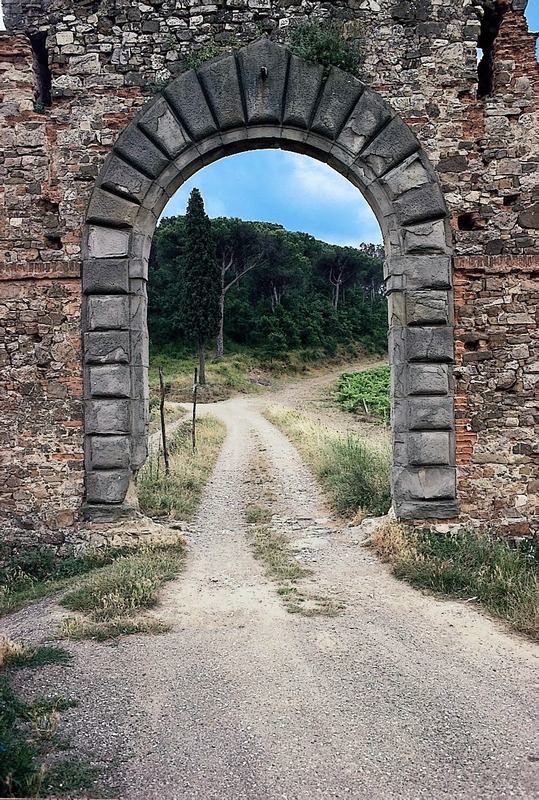 Many Tuscan wine estates trace their roots back many centuries, but when summarizing the history of these estates I’ve not come across many that can include the phrase: fast forward to the 1500’s – yet such is the history of Capezzana. The first documented wine production on the estate began in the year 804 but it wasn’t until 1500 that perhaps the most significant family milestone occurred. Cabernet Sauvignon plantings were introduced to the property by its then owners, the Medici family of nearby Florence, following the betrothal of Catherine di Medici to the King of France. Genesis. 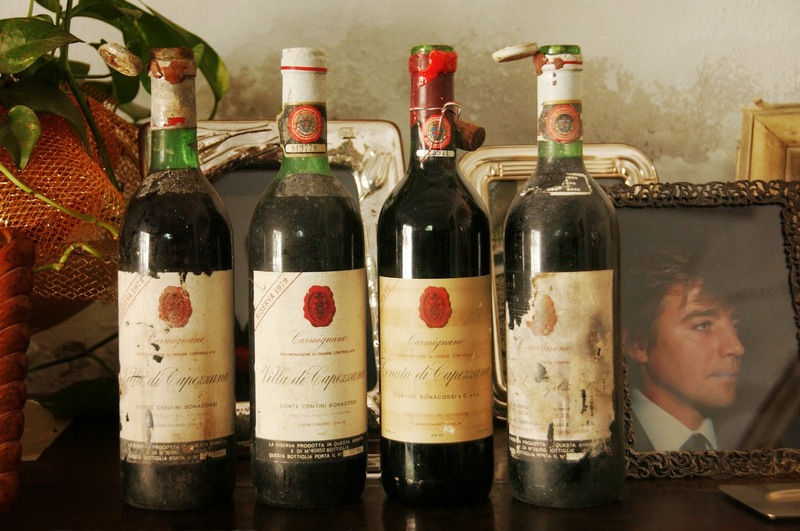 Today, since 1920, the estate is in the hands of the Conte Contini Bonacossi family. Proudly leading the charge as family ambassador is Countess Beatrice Contini Bonacossi, but she humbly prefers to simply be called Bea. Bea (pronounced Bay-ah) is truly an ambassador. Fluently speaking no less than five languages, she represents the winery to the world and runs the family business along with her three siblings. Her sister Benedetta is the winemaker, her brother Vittorio casts watchful eyes over the vineyards, and Filippo handles the winery finances and the rather large olive oil business. Bea chuckles, “Naturally as siblings we often see things differently. 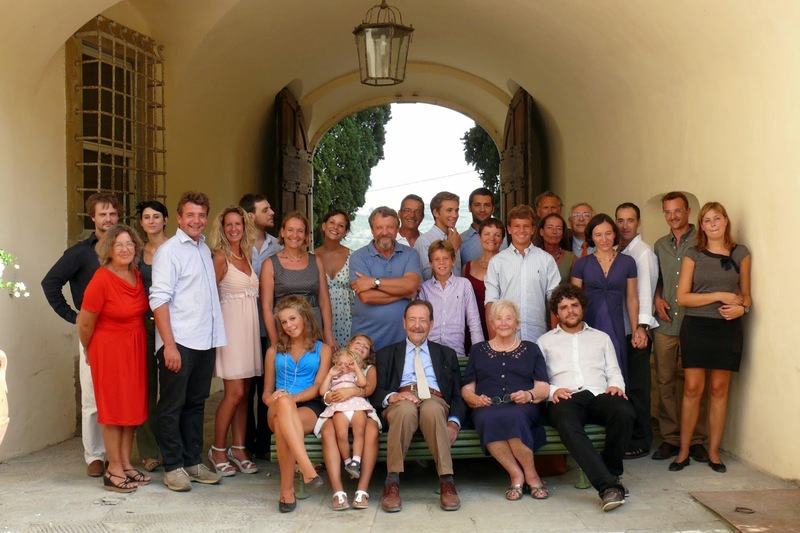 We agree to disagree, but we all see the future as evolutionary versus revolutionary.” And the future is bright…..
Carmigano, Italy’s smallest and oldest DOCG zone, is located north west of Florence, generally about 12 miles from the city center. The Capezzana estate spans over 1,650 acres, and rests about 700 feet above sea level on the slopes of the Monte Albano hills. The terrain varies throughout the estate, 256 acres are planted to vines and 356 acres to olives. The evolution that Bea mentions is sweeping. Beginning with the 2015 vintage, Capezzana will become one of Tuscany’s first certified organic vineyard estates. To that end, Bea says they’ve been working toward this goal for several years. In addition to pesticide free farming, Capezzana is also changing the way they manage their cover canopy during the growing season. “We used to apply a more general approach to leaf removal, says Bea, but now we carefully analyze areas of the vineyards that receive the early morning sun and tailor our approach to better protect the vines.” Some of the vineyards are also undergoing re-planting, with additional acreage of Sangiovese being added along with Canaiolo which Benedetta feels really brightens the blend for many of their wines. In line with their effort to become certified organic, Capezzana has also been reviewing and adjusting their practices in the cellar to further reflect their natural, more holistic approach to winemaking. Foremost is the move to the exclusive use of natural, indigenous yeasts as of the 2012 vintage. Perhaps more significant, is the move to large oak vessels and reducing the amount of new oak used from 33% to 25% for most of their red wine production. “This is done to allow the vineyard site to speak”, says Benedetta who is also re-shaping the estate’s overall production so that DOCG Carmignano production increases at the expense of IGT wines. Capezzana’s history is long and proud so it’s not surprising that each wine in the portfolio has a story behind its creation. In 1533, when Catherine di Medici wed the king of France, she missed the wines of her childhood. However, since the new bride also needed to please her new French subjects, French Cabernet was sent to Carmignano and added to the Sangiovese-based wine. With that bit of successful diplomacy, a new wine was born. Affectionately dubbed “The Wedding Wine”, for over 450 years, adding a dash Cabernet has been traditional in Carmignano and is today legally required to comprise 10-20% of the blend. Generally, Cabernet adds structure and enhanced aging potential, but after living in Tuscany for so long, it is smoother than its Bordeaux counterparts and lacks the vegetal notes often observed in French wines. At Capezzana, whole bunches of Sangiovese and Cabernet grapes are pressed and the initial fermentation takes place in stainless steel, followed by malolactic fermentation in French oak barrique and tonneaux. Aging in wood lasts for 12 months, followed by an additional 10 months in bottle prior to release. Barco Reale is made from declassified DOCG Carmignano fruit and fruit from Capezzana’s younger vines. The historic name “Barco Reale” refers to the “royal park,” a walled hunting reserve of the Medici family. The addition of Canaiolo in the blend is the main difference between Carmignano and it’s younger sibling. Aged for a shorter period of time, Barco Reale is meant for near term consumption; a fact enhanced by the softness of Canaiolo. A single vineyard Carmignano since 1979, this blended wine is made from the 12-acre Trefiano vineyard which surrounds the family’s 16th century Villa “Trefiano”. Yields were reduced dramatically and Allier barrels used exclusively for vinification. Today, the family is testing biodynamic farming at this vineyard. The vinification for this small-production wine is the same as their Carmignano. However, the wine is aged longer than required; 18 months prior to blending, and then an additional 18 month maturation in bottle prior to release. For winemaker Benedetta, this wine is a labor of love and she exudes both passion and serenity when she talks about this “meditative dessert wine”. The wine is unique for its inclusion of San Colombano; a late-ripening white grape which is very rare today but was prevalent in blends during the 18thcentury. The hand harvested grapes are dried on mats for six months. 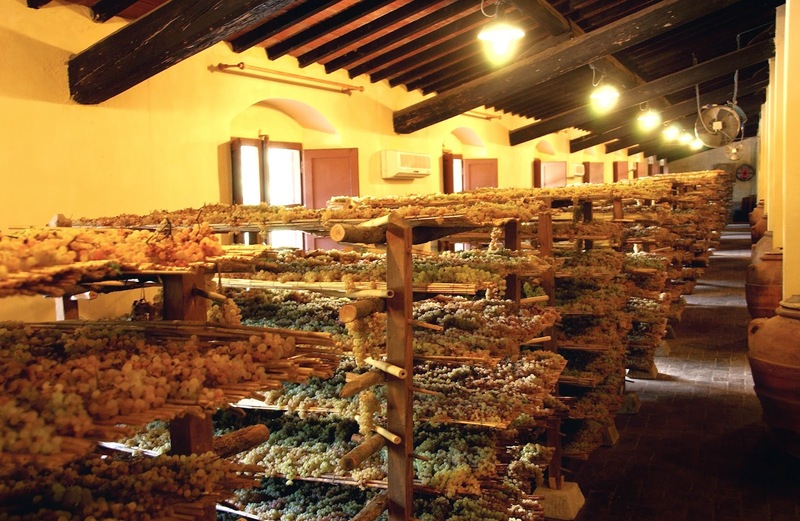 Each lot of wine is aged separately, mostly in 100 liter “caratelli”. These barrels are made from cherry and chestnut trees grown on the property which accent the terroir component of the wine further. After five years of aging, during which time the wine loses almost 80% of its original volume, the final blend is created. The wine then rests in bottle for three months prior to release. Over the past few months we’ve been slowly making our way through some wonderful examples of Capezzana’s craftmanship. Our tastings spanned 4 different vintages; all of varying quality and characteristics. Yet despite this, the wines show remarkable finesse, purity and Tuscan soul. Consistency cannot be understated when buying wine. It’s something my readers have come to realize as a trait I value highly in a winery. Capezzana is consistent. 2011 Barco Reale: It had been many years since I tried a Barco Reale and this wine pleasantly surprised me. It’s a dark violet in the glass with purple highlights; the color here clearly enhanced by the French varietals. The aroma of the wine may be more seductive than the palate. There is a complex bouquet of flowers, berries, wild herbs and coffee. Complexity you don’t often find at this price point. On the palate, the wine is not as complex, but has very pretty flavors of fresh berry, herbs and dusty earth. The flavors are clean and precise and this paired wonderfully with chicken cutlets. The last comment on my tasting card says: “I really like this!” 87 points. SRP ~ $15. Disclosure: This bottle was an importer provided sample. 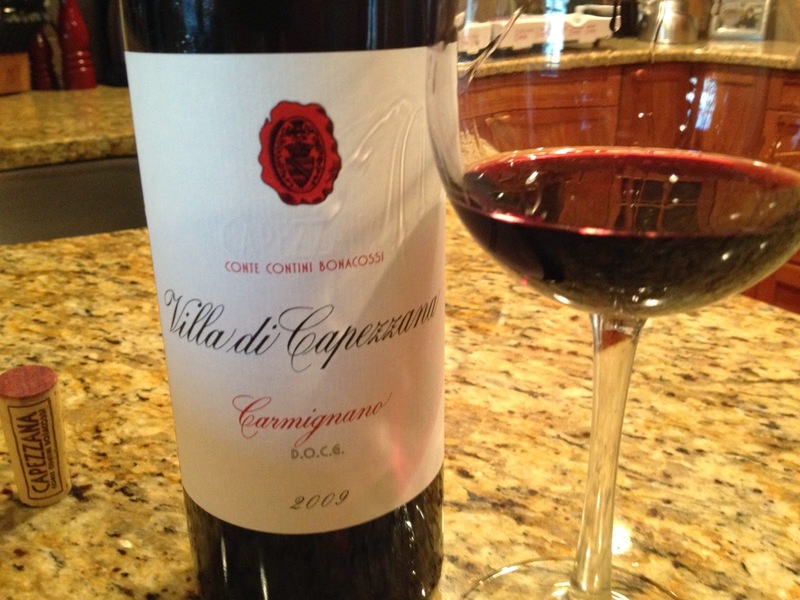 2009 Carmignano: I have chronicled the wines from the Carmignano DOCG well on this website. It is an unsung zone producing characterful, ageworthy and undeniably Tuscan wines. 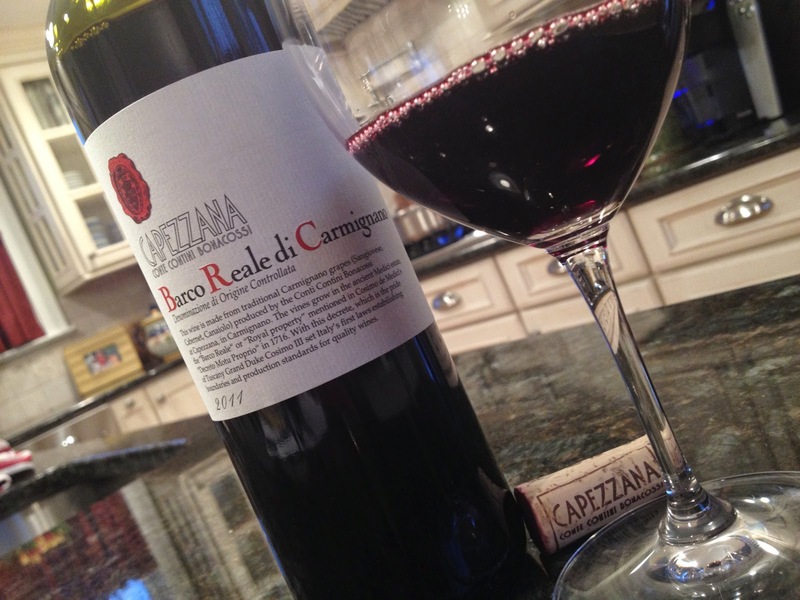 Capezzana’s 2009 Carmignano is no exception. With a little more aging in wood, this wine shows some of that natural oxidation in it’s color. This is a deep red, but has some lightening out near the rim. A fully expressive nose of dried flowers, crushed red fruits and herbs, this seems more serious right from the starting gate. On the palate, the wine is very well balanced; with careful attention to the ripe fruit. There’s slightly more richness here in the 2009 vintage, but the sweet tobacco tones and rocky mineral notes keep things intriguing. There’s some powdered cocoa on the finish that I love. 90 points. SRP ~ $24 Disclosure: This bottle was an importer provided sample. 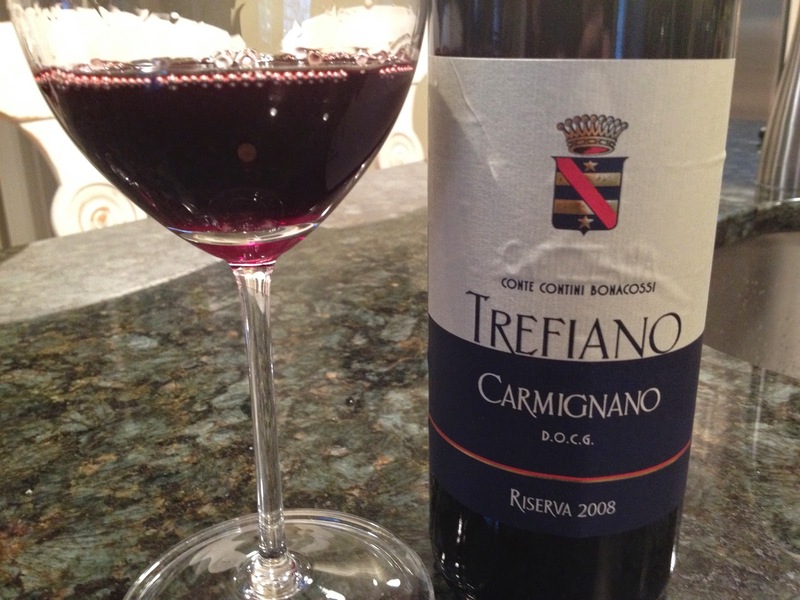 2008 Trefiano Single Vineyard Carmignano: 2008 was a slightly mixed vintage in Tuscany and although the wines may not be suited to long term aging, they have developed amazingly floral and perfumed aromatics. The 2008 Trefiano bears the name of the vineyard that produces its fruit. A dark garnet color with deeper purple tones, this rosso has very pretty floral aromatics that are matched with crush black stone fruit, licorice and leather. On the palate, a deeper concentration of flavors is evident – the result of the additional scrutiny in the selection of fruit for this wine. Flavors follow the nose with good concentration and this is the most structured of the reds tasted for this article. Clearly the 10% inclusion of Canaiolo facilitates a slightly earlier drinking window. Tannins are firm but not overbearing and with decanting, this was great with grilled ribeyes. 93 points. SRP ~ $50. Disclosure: This bottle was an importer provided sample. 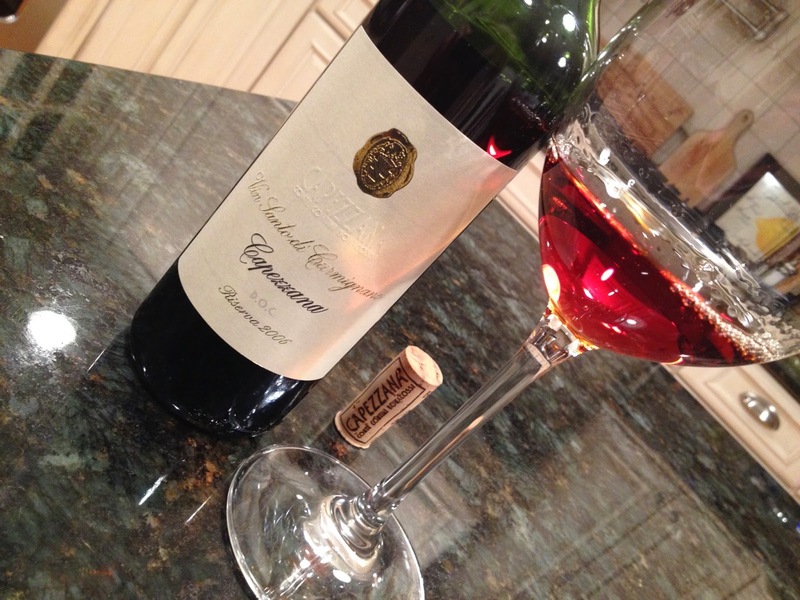 2006 Vin Santo Riserva: I’ve been drinking Italian wine for almost 25 years and have tried many Vin Santo. In my mind, there have been two classes of Vin Santo; “Avignonesi” and “Everyone Else”. 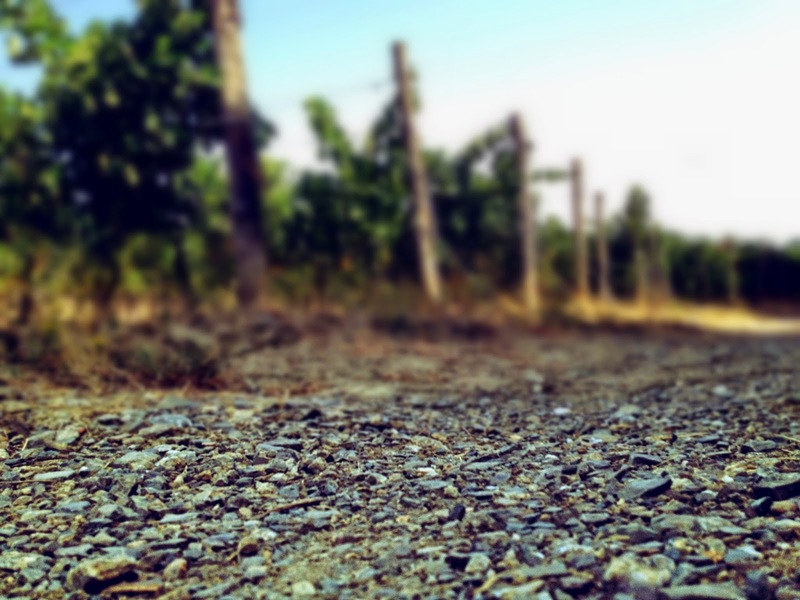 The former is legendary – the Michael Jordan of Vin Santo. In the latter category there have been good wines; Isole e Olena’s stands out and Felsina’s was nice. But none have come close to Avignonesi. Until now. The Capezzana Vin Santo is a rare, ethereal, enchanting, spellbinding nectar. There, I said it. The color of Vermont Maple Syrup, this wine gives off a complex array of aromas: Caramelized brown sugar, honey, wild flowers, toasted nuts, orange peel, creme brulee, and spices are all identifiable and harmonic. On the palate the flavors from the nose all share center stage. There’s wonderful viscosity – almost to the extent of “thin” maple syrup, but with the bright citrus infused acidity running through it, the wine is lifted and remains nimble and fresh on your palate. The finish goes on and on and on. It is simply a wine that practically defies description. If you like the style, you must find this wine. I put it in the class with Avignonesi. It’s that good. But to make it even more appealing, it’s only about one fourth the price of it’s counterpart. The bottle is in the refrigerator. There it will stay, as I parse it out drop by drop over the next few weeks. I will weep when it’s gone. Absolutely amazing wine. 98 points. SRP ~ $50 for a 375ml bottle. Disclosure: This bottle was an importer provided sample. Special thanks to the folks at Creative Palate Communications for their assistance in compiling the estate history and many of the images provided for this article. John, I love the first photo! Nice write-up! Dennis, me too! It's now the cover photo on my iPad….. Thanks for commenting as always.